For almost every single “cute girls doing cute things” anime I review, I almost always struggle to come up with something to write for the story portion of the review, since the “story” usually consists of random and mundane scenarios that cater to those with short attention spans. 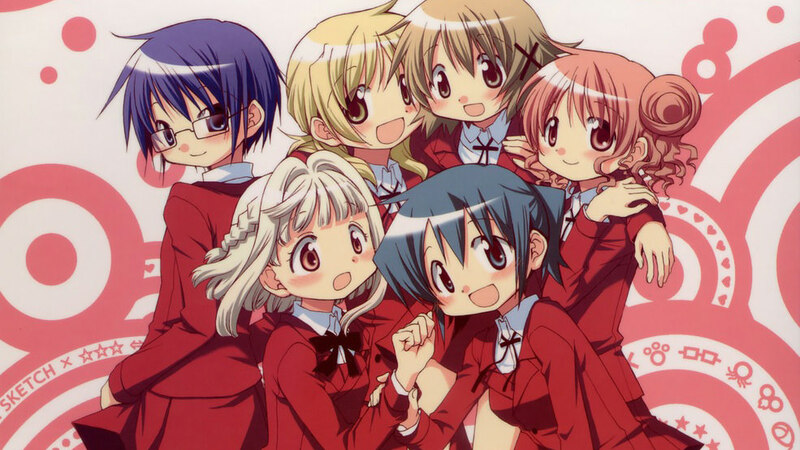 Hidamari Sketch is most certainly one of those anime, and is perhaps even more so than some of the other notable series. In this series, you won’t find entire episodes devoted to clichés like school festivals or visits to the local onsen—which is kind of shocking—but instead, it’s usually very ordinary scenarios that mostly serve as backdrops for the interactions and dialogue between the characters. The series is entertaining enough on its own that this extremely laid back approach still works and results in some amusing exchanges, but trying to extract a story from this is like trying to squeeze blood from a turnip. So basically what I’m trying to say is that this season of Hidamari Sketch continues the series’ trend of being especially light on significant plot points in favor of everyday actions that are delivered in a fast and furious manner. Perhaps the episodes not being in chronological order plays a part in this, but at its core, this series is the very definition of “cute girls doing cute things… and not much more”. Enough has probably already been said of the returning cast members, so let’s shift the focus to the two brand-new additions to the cast. I don’t know, Nori just seemed kind of boring to me. Compared to the other girls, she’s surprisingly normal, so she just didn’t stand out to me in many ways. Like the others, Nori is also in the art department, and she’s a bit of a techie, which is in stark contrast to the others. It didn’t help that Nori (and Nazuna’s) school life is overlooked in favor of Yuno and Miya, so the majority of the time, Nori’s just engaging in small talk with Nazuna or the other girls there at the apartments. With such a lack of interesting things happening to her, Nori’s even-keeled personality didn’t resonate as well as it could have, and I didn’t find her as compelling as the other girls. As for Nazuna, I think she exhibited a more colorful personality than Nori, yet it just so happened that I wasn’t a huge fan of that personality. She’s the really quiet and shy type, and one need only look at my avatar (Mokocchi!!!) to see that I do like those types of characters, but Nazuna was way too cutesy for my tastes. Her high-pitched voice only added to her overly sweet demeanor, and I just don’t think Nori nor Nazuna can hold a candle to the likes of Yuno, Miya, Sae, or Hiro. With two more characters added into the mix, there’s more of a balancing act that has to occur in order to accomodate everyone. And as a result, Sae x Hiro doesn’t play as big a role as I had hoped for. x 365 laid it on pretty thick, so that was the single most disappointing thing about this season for me. You can still find some occasional yuri references, but just not to the level of season two. And being the same age and in the same grade, Nori and Nazuna are naturally the closest to each other, but nothing at this point indicates that there’s anything of note on the yuri radar. I’m guessing their relationship will probably be closer to that of Yuno & Miya than Sae & Hiro, but let’s just wait and see. One other thing that I was disappointed by was the lack of scenes for Natsume. Compared to the first season, season two saw her given a little more of the spotlight, and I thought that she came across as an awkward yet very charming character, so I was hopeful that the third season would follow suit. Sadly, she really only has one scene with Sae, and she’s just left out far too much for my liking. In the short amount of time she’s been given thus far, I’ve found her to be far more charming and entertaining than the two new girls, so I’m bummed out with how she was neglected this season. Overall, the bold step of introducing two new main characters didn’t go as smoothly as I had hoped for. Hopefully more can be done to make them truly feel like main characters—as opposed to glorified supporting characters—but it’s likely always going to be the Yuno & Miya (and Sae & Hiro) show, so my hopes for this aren’t too high. A year-and-a-half had passed since the second season, and it looks like Shaft used the time to gradually improve upon the visuals, as is to be expected. The results seem rather minimal, but it’s always been a unique visual style that’s set this slice of life series apart, and that hasn’t gone away. This is yet another iteration of that, so it remains as simple yet effective as ever. Speaking of that, the same can also be said of the audio. Similar to the animation, practically nothing has changed when it comes to the music. The familiar background music from previous seasons returns, as does another nice OP sung by the seiyuus themselves. For me, these have been the musical highlight of the series, and this latest one doesn’t disappoint. marble returns once again to handle the ED, and even though season one’s Mebae Drive remains my favorite ED of the series, I’m liking this pop-rock-focused offering more than x 365‘s. All in all, the same playful and low-key vibe of past seasons remains, yet it’s part of what makes this series so endearing, so it’s all good. 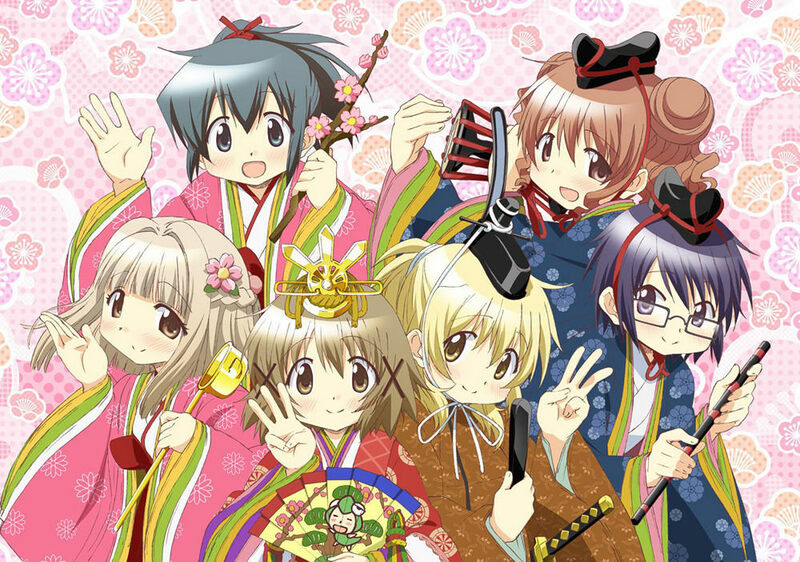 Despite the addition of two new characters, Hidamari Sketch x ☆☆☆ is still more of the same for the franchise. Considering how enjoyable the series has been, that in and of itself isn’t a bad thing, yet it’s Nori and Nazuna that didn’t add as much as I would have liked. That’s probably just personal preference speaking, but this third season is likely still on par with the previous two, so if you’re a fan of the series, I doubt you’ll consider x ☆☆☆ anything less than a worthy follow-up. 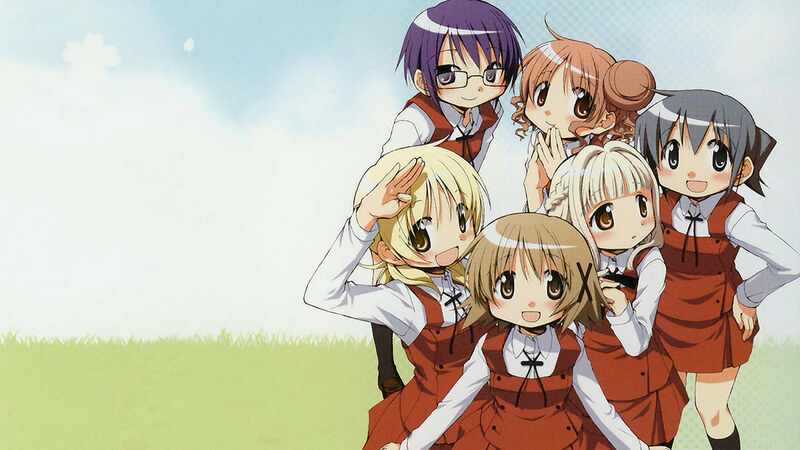 This entry was posted in Anime, Anime Review and tagged Hidamari Sketch by Rock The Vogt. Bookmark the permalink.